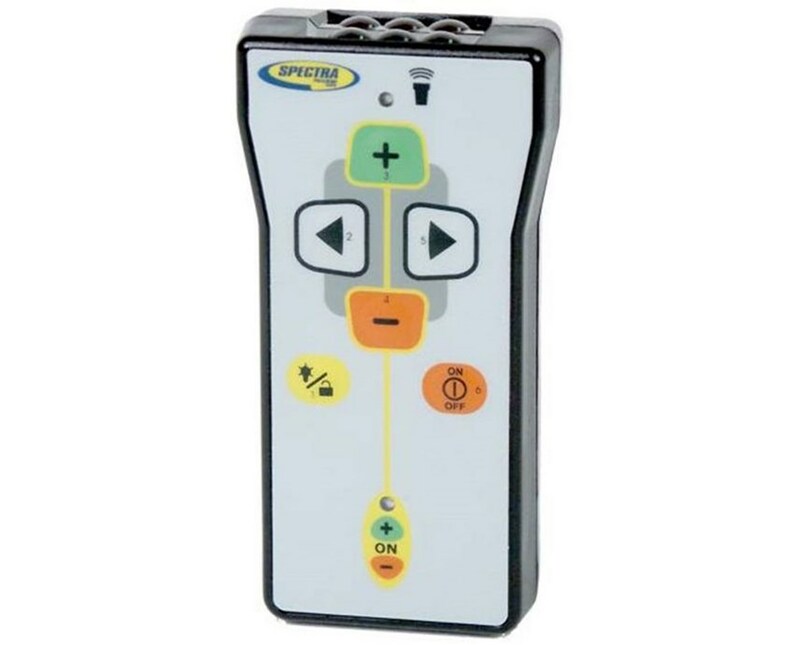 The Spectra Precision 7-Button Remote Control for DG711 controls the DG711 pipe laser by Spectra Precision. It works from distances as far as 750 feet and its battery lasts for 3 years. 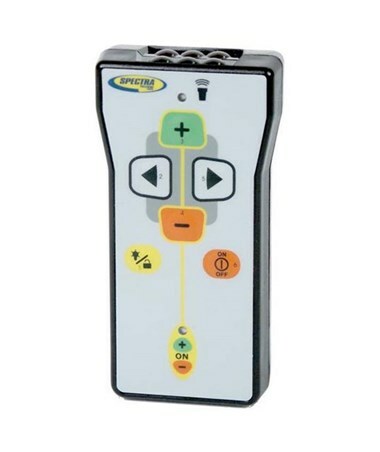 This wireless remote allows you to power your DG711 pipe laser on or off. You can also adjust your line setting from left to right as well as your grade setting up or down. The remote control operates the DG711 pipe laser as far away as 750 feet through the pipe, 500 feet in front of the pipe laser, and 30 feet from the rear of the pipe laser.